Amazon coaches charge at least $3,000 - is it worth it? Am I wrong about not offering you $3,500 coaching? Ed. - Update 2/26/18 - Now Amazon itself offers coaching to sellers, which stars at a minimum of $700/month for 3 months. I don't know how good it is, so I can't offer specific advise on their coaching at this time. Also: I've collected feedback from readers, and my notes over the years. There are two coaching services they and I trust. They are legit and very helpful to customers. I am an affiliate of each, so I may receive compensation if you decide to hire them: Jim Cockrum Coaching and Robyn Johnson Coaching. My readers tell me Jim Cockrum's coaching starts at approximately $3500, and if you hire a coach and you are not having success, you have the option to be reassigned to another coach at no additional charge. My readers tell me Robyn Johnson's coaching's fees are affordable. 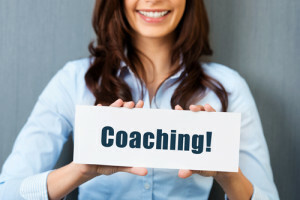 Do you think coaching services are worth their $3,500-and-up investment? 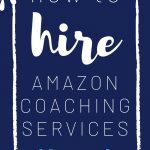 By 'coaching' I mean this: Many of my peers - Trusetd Amazon experts not officially affiliated with Amazon - currently offer one-on-one Amazon or eBay seller help that runs (generally) $3,500 to $10,000. He/she will spend a few hours a week with you (phone and web), for multiple weeks, hand-holding you during the selection or discovery of products to sell (via one or more methods like retail, wholesale, etc), where to look for products, how to buy, the entire listing and selling process, dealing with customer service issues, tracking your sales and profits, and growing your business. 1.) They are not entirely sure there's a need. The 'nut' of what you're getting with coaching is hand-holding and step-by-step advice. But that's already accomplished to a great degree - albeit not a personalized one - with (for instance) the acclaimed Proven Amazon Course. 2.) Some think coaching can be overpriced. If I were to hire a coach for (say) $10,000, I think the coach should be doing everything for me for a short period (account sign-up, creating new products, finding me ideal products to sell, product listing, customer service, etc.) and then sending me videos/documents of all those recurring activities so I know exactly what to do after the coaching service ends. It seems most coaches don't offer that, to my knowledge. 3.) Because of #2, there can be a shortfall of expectations. I think clients of coaching may expect that by coughing up a large sum of money, that their success will be easy, fast and guaranteed. That's definitely not true. Even if you have the greatest Amazon coach, you still have to do the work. Selling on Amazon is a wonderful privilege, but it's not without its downfalls and it there are moments where you have to work very hard. But the pros of selling on Amazon far outweigh the cons, as it has generated tens of thousands of successful sellers (like myself) that now don't have to work a 'real' job. I would LOVE to get some feedback from you, how do you feel about $3,500+ seller coaching? I want to be proven wrong. P.S. The above is not intended as a slight to any current coaches out there. P.P.S. Before you buy any coaching, you should ask for recent, verifiable testimonials from previous customers. If the seller of the coaching denies you that, that's a reason to be concerned about the quality of the coaching you're about to buy. I enjoy Jim’s podcast and think the Proven Amazon Course has some solid info. The person that contacted me did so under the guise of following up to see how I liked PAC but ultimately they were wanting to pitch coaching. They offered a ‘strategy call’ for his coaching program and it raised a lot of red flags. I agreed to the call and what I heard was a very similar pitch to those used by companies like Prosper Inc. a few years back. They started by having me watch a short video of testimonials filmed at a live event, probably CES. They wanted to know if I was married or had a business partner. If I’d said, Yes, I’d assume they’d insist that person be on the call so all the decision makers would be present. They asked exact numbers about my income, monthly overhead, available savings, etc. and let me know they were only interested in goal-oriented, motivated students.While there are legitimate reasons for asking those questions, it’s also right out of the boiler room playbook where salespeople find out exactly how much available credit you have and then a closer comes in pitches you a price to match that amount. I’ve been behind the scenes at one of these companies and saw coaches working for low salaries that weren’t experienced at all and the only connection to the original ‘guru’ was they furnished the lead. It didn’t help that the person that contacted me was in Utah where almost all of these boiler rooms are based. I’ve heard at lease one of Jim’s coaches on his podcast so maybe that’s not the case with his program but the approach left me very uncomfortable. Now to be fair, they did not push me hard to sign up and I never got to the closer because I wanted more time to go through the course. I’ve read Jim’s book and gone through several hours of the PAC as well as listened to multiple podcast episodes. I’ve heard Jim’s take on IM gurus, product launches, etc. So I was really caught off guard when the pitch from his coaching company was almost exactly the same as those used by the IM gurus. It’s given me pause. Excellent post, thank you. I will share this with Jim and his Coaching leadership (Disclaimer: I am an affiliate of Jim Cockrum Coaching, although my revenue received from referrals to his coaching make up less than 1% of my annual revenue overall. I am stating this because I have little to no financial incentive to promote his coaching programs). -I understand why their approach is a little ‘boiler room’-ish and as a business owner myself, I support it. Here’s why: Jim Cockrum’s coaching team has to field/receive/approach dozens (if not 100s) of prospects a day. Jim’s coaching group is outsourced (to a very honest organization run by Nathan Bailey) and thus the questions they pose to you are to separate the ideal coaching clients versus someone who just may not be ready (or want) coaching. There is more of a psychological approach to their Questioning method (versus, say, aggressive sales tactics). Why? Because coaching is ‘expensive’ – it’s not an impulse purchase by any means. If anyone thinks they need or want coaching, they really have to do a little bit of self-discovery. Although Jim’s coaches (like the gent who called you) may not talk about ‘self discovery’, their questions to a prospective customer are simply a way to narrow down whether or not the customer is an ideal candidate. (Translation: The customer really has to ‘want’ to be coached and really want to put in the work.) See, a customer may want to throw (say) $10,000 at the coach and thus think the coach will do ‘all the work’ for them, when that’s simply not the case. 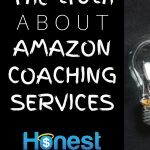 Any honest coach provides the client with a step-by-step framework, guidance, problem solving, and a little handholding, but the work (and believe me it is ‘work’) of running any legitimate Amazon business is the responsibility of the client. See, in my experience, very few people – coaching receipients or not – truly want to do the work. And because Jim’s coaching group is set up to make their clients succeed, they will turn down (say) $10,000 if they feel the client is expecting to not do all of the heavy-lifting. (Side note: There are plenty of other coaching groups that would take that $10,000 – or any amount of money – and run, and you’ll never hear from the coach again). Here’s another angle: Let’s say the prospective client getting the call has little or no money to pay for coaching. (I don’t have hard facts, but I’ve heard Jim Cockrum’s coaching starts at $3500-$4000). The coach needs to get that data because if the client isn’t a coaching candidate, the coach may provide a non-coaching solution for far less money (or free) for the client to get started. So the coach’s questions about income, etc. are poised to ensure coaching is right fit for both parties. I get the ‘boiler room’ feel you got and although it sounds a little odd, the coaching/sales reps (of any legitimate organization) have to use some kind of framework to direct their efforts for the best possible outcome. The fact that there is no ‘hard sell’ from Jim’s coaching group is really the difference between their largely excellent reputation versus an unscrupuolous organization (there are many, and yes a couple of them are in Utah) who would rather just take the client’s money and then throw the client some videos and that’s it. One final note – Jim Cockrum’s coaching policy for customers is that if you are assigned a coach and you’re not satisfied, they will – at no additional charge – have you start over with another coach, until you are satisfied. I don’t know any other coaching provider – in any industry – has that policy. That said, I know Jim will take this information seriously and perhaps have his coaching executives adjust their approach accordingly. Thanks again for sharing this, it’s very important to me. Thanks for the detailed and thoughtful reply. What you’re telling me is in line with everything else I’ve seen from Jim to date. I signed up to be an affiliate for the course and plan to document my experience on my blog and invite anyone who wishes to follow along to sign up through my link. I was at one time a product creator/speaker/coach in the IM world. I started out as an affiliate and was known for giving honest reviews, similar to what I’ve seen you do here on your site. And I like what you’re doing, btw. I got out of the business just after the whole big launch thing took hold. I know John Reese and he’s a sharp guy but when he had a million dollar day online, every guru took notice and the cycle of promoting each other’s huge launch was something I didn’t want to participate in. Too many big players released absolute garbage. When Prosper Inc started recruiting these gurus to do their coaching programs, that was the final straw. The people that still follow me have similar feelings about boiler rooms and would be pretty skeptical if they’d had a call like mine. Given my experience and what you’ve shared here, my suggestion for Jim’s team is to change the script a bit and, at the very least, remove the mystery pricing. I was told it ‘might’ be $4000 but the person who’d be coming on next would reveal the exact pricing. That comes too close to sounding like the price is going to be determined by how much I have to spend or how much credit I have. They may have other reasons for doing that but I think it raises too much of a red flag. They may disagree but it might help with signups and eliminate the risk of someone getting the wrong impression and then spreading the word. Again, I really appreciate you taking the time to respond and sharing your own experience. Excellent additional info, thank you. I can tell you for sure that at least one person on Jim’s senior team has read this exchange. I also agree with you that some transparency in pricing overall should be implemented. (Something like “All Coaching Packages start at $X”) where “X” is their ‘true’ baseline. Good luck and keep me posted with your continued success/progress. Does Jim’s course offer any live consulting or is it just videos? I’d like to know if there will be someone who I can contact with questions if I need help. Thanks! You mentioned coaching at $750 per month for 3 months. Is that directly through Amazon or what? Also, I take it that it has your recommendation. Is this correct? I really appreciate all the info regarding all of these AMAZON seller courses… However, I notice that you never seem to mention anything about SHOPIFY, or any type of “SHOPIFY COACHING PROGRAMS,” or online courses, nor have I read any posts from you even on the subject of SHOPIFY. I’m curious, because I’m reading a lot, and I mean, a lot of posts, and viewing a lot of YouTube posts about how great SHOPIFY is for beginners, and how much potential there is for making money on SHOPIFY. Any comments or opinions regarding SHOPIFY, and any suggestions at what, or rather who I should check out for coaching/online courses for SHOPIFY? Ramond – the reason is a.) the blog is dedicated to Amazon and eBay sellers, and b.) Shopify (an excellent ecommerce selling platform) does not have ‘built-in buyers’ like Amazon and eBay. Yes shopify works great if you have a product that you want to sell on your own ‘store’ (in addition to or in place of Amazon/eBay) but you need to market it online (via online ads or facebook or pinterest etc.) and that’s not my core area of expertise. In many cases (not all), most amazon/ebay sellers need to do zero (or very little) marketing to sell their product that’s on eBay or Amazon. Thanks Jordan, I really found my answer from the comments. I am part of your student from now on. Jordan: Thx you so much for tackling this sensitive subject ! I can imagine what your peers might think. For most of us we are starting up ( laid off, etc ). high and miss with courses, you learn, thru trial and error. coaching. Jordan, we have to walk before we run right ? Thank you for being right on target !! You’re welcome, Diane, I am glad you found it helpful! I am one of those unfortunate (stupid) people who paid for coaching. It was a total waste of money. I did not get what I asked for, I was very specific with what I wanted and was assured they could provide it. They did not. And of course no money back. But it has spurred me on to try to make it back with my business. Please don’t pay $3,600 for a coach. Linda you’re not stupid, you just put your trust in someone who you thought they would deliver as promised. I am very sorry to hear about your scenario however I hear about those frequently. Good luck, don’t let your experience stop you getting your business to prosper, you can do it! Jordan, I live by these rules NEVER PAY TO DO BUSINESS WITH ANYONE.Yes this means I do not often shop at Sam’s or Costco’s. NEVER WORK FOR ANYONE ONE. As far as coaching goes I need some help but would only pay if my income grew. I feel that If I could find someone willing to work on those terms where if I make more money then they get paid on the part of the increase. I want someone who has a vested interested in my success. Else I just have someone who makes money on the vigorish where they make money if I win or lose. Let me just first say, your approach is much appreciated. Yours is the only blog that I’ve ever spent any time reading. I don’t follow it regularly but I still stop in from time to time to check out posts of interest. Full disclosure: I offer coaching. I’m not trying to put any links here or anything. But, I always like to know the background of the “author” of anything I’m reading because context is so critical. I’ve been selling for about 3 years. Last year Amazon sent $96k to my bank account. I netted 26 percent of that. I don’t think that’s the big time. I’m no where near satisfied. But the context for that is I hardly spend any time doing this. Maintenance (shipping /receiving, ordering) etc doesn’t take more than an hour a day. I’ll soon be free of my day job and can actually focus and expand this business I love (both selling and coaching). I say all that to say….I’ve never paid for coaching. I’ve never spent time reading or watching podcasts. Yours is the only blog I’ve read and that’s only been in the past few months. Not everyone needs coaching. It just depends on the individual. There is no one size fits all answer. Sellers have to realize they are professional business owners. They need to be disciplined, focused, and resourceful. They need to start with a niche, perfect it, then expand. They need to experience success. They need to deploy the very best customer service skills. They need the mind of an entrepreneur. Let’s face it, not everyone is meant to run their own business. At first, if you’ve only ever been an employee, it is a grand experiment. I would never recommend anyone to quit their day job until they can replace their existing income. You aren’t embarking on this adventure because you want to live paycheck to paycheck. And, not having the security of a check coming in of a set amount at a regular interval can be unnerving. If people feel they need their hand held, I would any day of the week choose to dip my foot in and gain a little bit of knowledge that I can then deploy than pay through the nose for training that may or may not be applicable that you may never use. There is no security blanket in that. I’d rather just “jump in and do it” like I did and learn from my mistakes and learn hands on than any other method. But, not everyone is wired that way and everyone learns differently and at different paces. In all fairness, I did have a mentor and that’s what gave me the confidence to start, but I learned what I could through observation from a distance and a question here or there as they were a great resource but not a particularly good teacher. So, in a nutshell, I think everyone should at a minimum at least have either a mentor or a peer or both. In lieu of that, have a resource like Jordan or even someone like me. I like the targeted approach best. You pay a set fee, agreed upon as fair in advance, to solve a specific problem. It is an as-needed basis. You get help when you need it. You don’t waste a ton of time searching and trying things on your own that don’t work or only partially work. Thank you for your humble attitude and gracious approach, Jordan. on things. I also appreciate that you don’t waste reader’s time with fluff. What you share is useful and direct. Scott – I appreciate the compliment, thank you! I also like your perspective of learning (jumping in. versus getting coaching, and ‘experience’ as the teacher). I guess everyone’s needs are different. I think you do a great job of instructing and teaching. I have bought a couple of your paid products and would do so again. I think your spot on a lot of times and would miss your emails if they didn’t come through. If we all were the same it would be a pretty boring place. Teachers and courses all are subject to supply and demand. If people didn’t feel your material was worth it they would unsubscribe and ask for refunds. The same with the expensive coaching – if it wasn’t worth it it would stop selling and go the way of all failures, but it hasn’t. I appreciate the work that you do and would hate not to get your emails. I will be at CES and would love to buy you a cup of coffee or a beer if you have time. Thanks Terry. You’re right, if the market demand isn’t there for ‘expensive’ coaching, it would disappear or be replaced with something else. I won’t be at CES but I appreciate the gesture, hopefully another time! 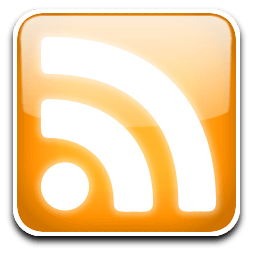 Great topic for Blog, I truly understand what you are saying, I can see it from both perspectives, as a new Seller under one year, can these services be provided without a $2-4000 Commmittment? I have been offered Training, I said I wanted to build a $40-60K business first, not as a brand new seller with very small Funds. I kindly said no at this time, No pressure on me whatsoever, I believe we have been Employees for so long, we need someone to literally tell us what to do until we can train ourselves to make the decisions for ourselves. I think New Sellers get lost, confused and thus “freeze”. I see this from the same basic questions we ask in Forums. Many times we need that Coach to stay with us side by side and that takes time and inevitably more money. Sean you hit the nail on the head and yes, those customers who demand immediate results or who are driven by fear (of the unknown, of getting fired from their ‘real’ job) may be (needlessly?) agreeing to spend thousands to get the help. If the coaching taught you how to build a business that successfully makes $3,000 or more per month, than the ROI just for that $3,000 investment on the coaching would be $36,000 in one year. That’s a heck of an ROI, if the coaching can do that. In reality, that $3,000 coaching is not overpriced at all. I think the real question is, what is the value provided to the audience you are trying to ‘sell’ to? If someone is looking to make $3,000 a year by selling things on the side on Amazon, $3,000 of coaching wouldn’t even remotely be worth it, and it would be severely overpriced. It’s the same principle people use for retail arbitrage. Why do people on Amazon pay $30 for a grocery item that I can go into Walmart and buy for $7.50? It’s the exact same thing – yet that audience is willing to pay 4 times as much. If you could ‘retail arbitrage’ coaching, that $100 you are charging for coaching, I can guarantee someone could sell it to the right audience for $3,000 – if the results make the ROI right. So, long answer to your original question – “Is ‘coaching’ overpriced?” Assuming the coaching is teaching exactly the same stuff (the product is nearly exact), it’s overpriced if the buyer is someone that has $300 to their name. It’s not overpriced to someone that has $10,000. Chris – you make a great point, a big part of it is perception and sense of value on behalf of the customer. I think I’m a pretty good marketer yet the ‘Ralph Nader’ in me just has a problem seeing such a wide disparity (the $300 vs. $3000 etc.). I think the grocery items (selling a $7.50 item for $30) is not an ideal comparison because of the price point (customers may miss a mortgage payment because they paid $3,000 for coaching, but not if they paid $30 for, say a jar of gourmet peanut butter). And the results DO make that $3,000 right, but I just haven’t heard a lot of true stories (from the lips of the buyers) that support that. Instead I hear a lot of ‘boy was that a rip off’ kind of thing. Then again, it’s generally just the complaints you hear (and perhaps the customers who did get a lot of value from the $3,000 they spent on coaching don’t want to reveal that it was beneficial to them because they fear competition or having to share their coaching resource). The grocery example probably isn’t an idea comparison on the price point. Another example could be someone buying a brand new $30,000 vehicle, when they could have purchased the same exact item with maybe 5,000 miles on it for $20,000. This is another extreme example, but it’s all a matter of perception. I personally haven’t done any $3,000 coaching courses. But, I have heard of instances of people paying $5,000 and more on coaching – and it has worked out. I think the reality here is that there is a very small amount of people that could actually afford $3,000 for coaching. Because the dollar amount is so large, you’ll see people stretching to spend that amount. On ANY type of business coaching or course, you are going to have X amount of people who are never going to succeed because they don’t take action. I imagine if you took a random amount of people (100), and 50 of them paid $3,000 for coaching, and 50 of them paid $300 for coaching, you would hear a lot more complaints about the $3,000 course – even if it was the exact same information. The reason is because people complain when the dollar amount is higher than what they can ‘afford’ to lose. A lot more people can afford to lose $300, compared to $3,000. The $300 people will just write it off as another waste of money, but likely won’t complain about it. But the $3,000 people will sure as heck let everyone know about it – because they “wasted” $3,000 on it. I’ll throw one more point here. As the person who does the coaching – how much is your time worth? Lets say someone like Jeff Bezos decides to start offering coaching for selling FBA. Let’s imagine he’s just as qualified to do the coaching as someone who has been selling FBA for 5 years (I know the seller is probably well more qualified, but for this point, follow along). Do you think it would remotely make sense for Jeff Bezos to charge $300 for coaching? With the amount of money he makes, he would lose a lot of money charging $300 for coaching – even if it gives you the exact same results as the $300 guy does. I’m not exactly sure how many hours you are referring to on this $3,000 coaching example is, but lets guess 3 hours per week, for 6 weeks = 18 hours. That’s approximately $166.67 per hour. If someone is offering the same thing for $300 – that’s less than $17 per hour. If the coach is making $150 per hour on their “day job” (whatever it is they are coaching), it doesn’t make sense to charge anything less than $3,000 for that coaching – otherwise they should just not bother coaching, and use the time to build their business. Currently there are numerous high quality, reasonably priced training resources that weren’t available 3 or 4 years ago. You, and people you have recommended have helped me tremendously, particularly you, Skip & Jessica. And I didn’t pay a fortune to acquire the knowledge, it was either free or very reasonably priced. My opinion is that high priced Amazon training unethically capitalizes on the fears of inexperienced rookie Amazon sellers. The best advice for any new Amazon seller is to focus on proven experts like yourself, who still actively sell on Amazon and also offer free or reasonably priced training resources. The rest is up to you. Thanks Jim – I can relate to your resourcefulness. I can also respect that some customers may be completely frozen and need total hand-holding, which a coach may be able to provide more than what Skip, myself, Jessica and others provide. There’s probably a happy medium in there somewhere (or maybe a solution that’s priced ‘in the middle’ that helps those frozen customers). I agree. To pay thousands for a coaching program is a bit extreme. I for one set up my own account and started selling. Our numbers are not HUGE, but they are respectable. I would say if a person goes to a mini seminar and has the ability for one personal 1-1 consult than $300-500 should be an acceptable cost. How valuable is a few hours of a person’s time? For me?…If I can work a few hours doing something I love or help to shed light and help another than the above mentioned figure is what I would be ok with. Scott – that makes a lot of sense (mini-seminar/1-on-1), great idea! You know I think you Rock! I do, however, have a different opinion regarding high end coaching. Years ago – before Amazon FBA, YouTube and FaceBook, I purchased coaching. I spent over 8k for 6 months of coaching. My family agrees, this was our best “ever” investment. Focused, one-on-one coaching gave me clarity and pushed out all the noise and confusion. Compared to the gazillion dollars my parents spent to send me to college for a questionable education, I learned more in 6 months about creating a life changing business a reality. Period. I can only say that I wish I’d done it sooner than later. Waiting until I was 40 (ish) to make the coaching decision is something I will always regret. All I can really say is this “Until you have been through the experience, you will never know what’s waiting for you on the other side”. Debra – it’s great to hear that (I RARELY, if ever, hear stories such as yours) and I know how you’re a huge success and tremendously influential leader in the Amazon/eBay space today). So it paid off for you, and that’s cool. Consider letting others know (with full transparency) about your story, specifically who you hired, how much you paid etc., as there’s too little ‘truth’ out there that is easily accessible to others who are also considering coaching. Ronke – Sorry to hear about your experience. I don’t know if yours is an exception or (what I fear) it’s more the ‘rule’ because of all the coaching purchase stories I’ve heard to date, many of them fall in line with your experience. Hi Jordon. Thank you for having the courage to address this very important issue. People need to be advised of the very real danger, of losing significant amounts of money by investing in expensive coaching offers. I burned out after 2 yrs. of working very hard to achieve some financial success online. This, after flushing over $3000 in coaching fees down the proverbial toilet. The person I purchased this coaching from, is touted to be very honest and perhaps he is, but as you say, he wasn’t my coach. I never once felt like anyone was the least bit interested in my success. I received incorrect and incomplete information that cost me even more wasted time and money. I for one, would never recommend this kind of coaching to anyone. I would strongly urge anyone considering investing this kind of money, to make very sure they get details of EXACTLY! what they can expect, in return for their money and get it in writing. Without a refund guarantee, that gives you a significant amount of time to test their coaching, I wouldn’t even give it a second look. I’ve licked my wounds and learned my lessons and I am now restarting my online endeavors. I am determined to find success online and I will be paying much more attention to you and your training. Ken. OUCH! I am sorry to hear that. I think refund guarantees (even if it’s a very limited time frame) and fine details are critical for buyer confidence. I hope you have more promising days ahead! I’ll give away the best coaching for free. Buy low sell high. Paul K. LOL, a phrase near and dear to me, too! Thank you for the laugh. I agree with you also. I have gotten other “coaching” deals. They have not been worth it. Some have been money back guarantee and I’ve gotten my money back with some hassle – after initiating a charge back with the bank. They spent lots of time trying to nickle and dime me with software I “needed”, webinairs I “needed” and all sorts of other ideas. I read through and tried to understand what the process was. Seems there were a few bugs in their software they were going to fix – someday. There is one famous Ebay coach who I have seen. He promises the world. He is now getting into Amazon. I went to one of his free seminiar and I went to that. He was selling $10,000 software that would do everything. Just his talking to us showed he had no morals or ethics. A friend of mine bought the software. Took a week to get it. It was not as promised. He couldn’t get a refund even thought they promised. He did a charge back. I like the way you do business. You help me enough to see how Amazon works. And it does. Then you offer really good help at reasonable prices that I can afford. So far I have been very happy with everything I’ve gotten from you and from Jessica Lawrew. Pat – YIPES, $10,000 software. EEK! I didn’t even know folks were out there selling that sort of thing. I am glad you like my help etc., it’s a labor but thankfully a labor of love. I try to keep all my services/products reasonably priced. And as a backup I do give lots away free via my blog and podcast and free tools like this one. I paid $2000.00 for a coaching course and was greatly disappointed. I guess I expected a whole lot more for the price, but everything I was taught, I pretty much already knew. I have just chalked that up to an expensive lesson learned. There are just so many resources out there for a fraction of the price, that I would not recommend any of this expensive coaching. Selling on Amazon or EBay is not rocket science and you can learn how to be successful without the hand holding expensive coaching classes out there. Frank – very interesting. I think you’re right and you just unveiled another possibility for me. There’s nothing wrong with ‘expensive’ coaching if it’s teaching a skill that can’t be easily absorbed via reading material or a course. For instance, I can imagine me paying several thousand to a ‘niche’ coach that offers “Let me Create a New Private Label Product for You to Sell on Amazon” (that’s really not an easy 1-2-3 thing to do, it requires time and money). There are a lot of factors and variables that go into the whole coaching equation as you clearly illustrated. Personally, I feel that coaching prices are dependent upon the buyer’s financial and situational circumstances. I say if you can afford it and you feel that you can recoup your coaching costs then go for it. However, the most crucial component of coaching is taking immediate action. I feel that many people don’t take action based on fear, information overload, analysis paralysis, etc. As a coach, do you know if your students take action based on advice you given them? Because if they’re not taking action it really doesn’t matter what they paid in my opinion. I think you should charge based on your hourly value and let your prospective students decide if that fits their budget and situation. I think you give away great content (blog, podcast, etc.) and your prices are very fair. You helped me avoid spending $3500 on a course we both know you are a huge critic of. Maybe you can develop a course with a small group of people you can meet with online on a weekly basis? Just a thought. Keep up the good work and happy selling. Rchard I totally agree with you but I’m asking myself, “If the ‘worth’ of coaching is depending on whether the student takes action or not, then is there any significant value in (say) a $3,000 coaching package versus (say) a $299 Amazon seller course? My gut says ‘no’, and as a consumer, if I am predetermined to not take action, I’d rather do that at the cost of $299 versus $3,000. Or maybe I’m splitting hairs here. Maybe the folks who ARE offering $3,000 coaching are the smart ones, and there are plenty of people who want to pay $3,000 (even if they don’t take action). and I’m the one who is short-changing myself. Doing that (charging folks that amount) still doesn’t sit well with me though. I tend to agree with you Jordan. I think expensive coaching is for those who have a lot of capital. That’s not me. I do think being a member of a selling group could be profitable, for the camaraderie, sharing of info and just not feeling like you are going it alone — but only if you actually have time to spend in it. Since I work full-time and am trying to get this going on the side, I don’t have time to sleep, much less hang out on Facebook and in chat rooms. I like the idea of a one-time charge just when you need it. Perhaps coaching to get you through a true roadblock. I wonder how much more you learn when you muddle your way through daily challenges on your own — how much do you miss when you follow along with someone’s demo on how to create a product on Amazon or list on eBay? It is starting to become evident to me that some “guru’s” are making more money off affiliate marketing than their coaching. Nothing wrong with that, I suppose, just seems disingenuous. I am naturally suspicious, though — perhaps works against me sometimes — a big, flashy sales pitch always makes me wonder what is REALLY being said. And, I am questioning the value of most of the spreecasts I have seen — they often seem more a fraternity gathering of good old boys than dissemination of information. Fun, though. Another thing I have noticed is that when people start out, they give more information, more tips, more “good stuff” for free — but later on that goes away. Some of them eventually drop informative free podcasts or only interview other vendors and affiliates — sending you through their website to purchase the featured vendor’s product. Hope I don’t seem negative — just have been watching the sideshow and these are some thoughts that have come up. But, I’m not making big money yet — or even little money — so I might not be on the right path!! Judy you are right about some selling groups (paid facebook groups, paid forums etc.) as they do offer tremendous value at a fraction of traditional ‘coaching’ prices.